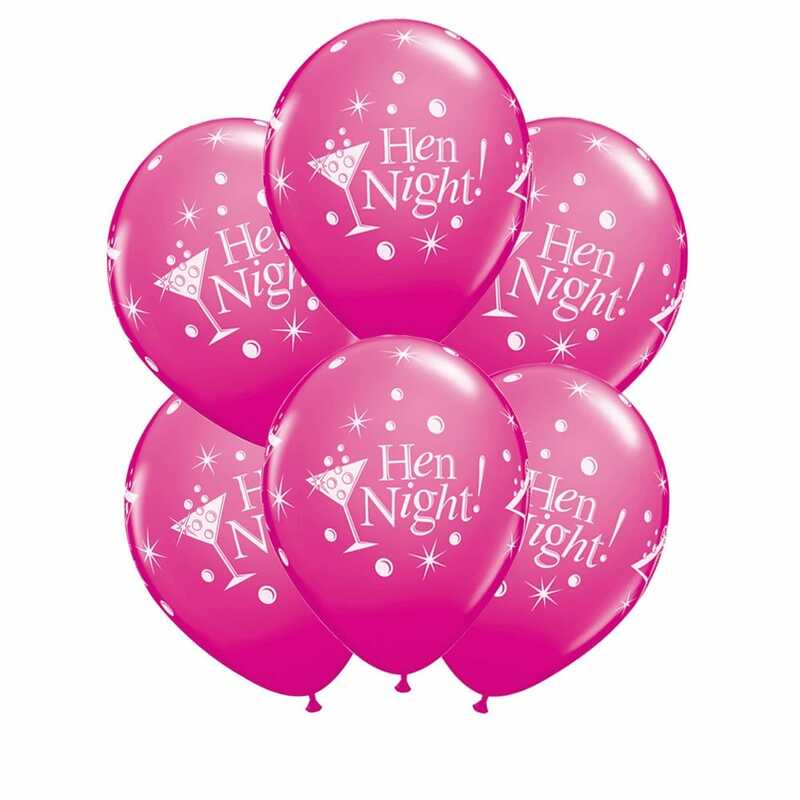 Make your hen party perfect with these amazing Hen Party Balloons With Cocktail Glasses. Add a splash of colour and a sense of fun to the evening thanks to these fantastic decorations. They're perfect for every hen do! The balloons come in a pack of 6. They're pink with a white cocktail glass design. Why not add some bunting, hanging decorations and a banner to fully decorate the room or venue? Hen Party Superstore offer a range of delivery options, including Next Day and Saturday delivery so that you can get your perfect decorations even at short notice.